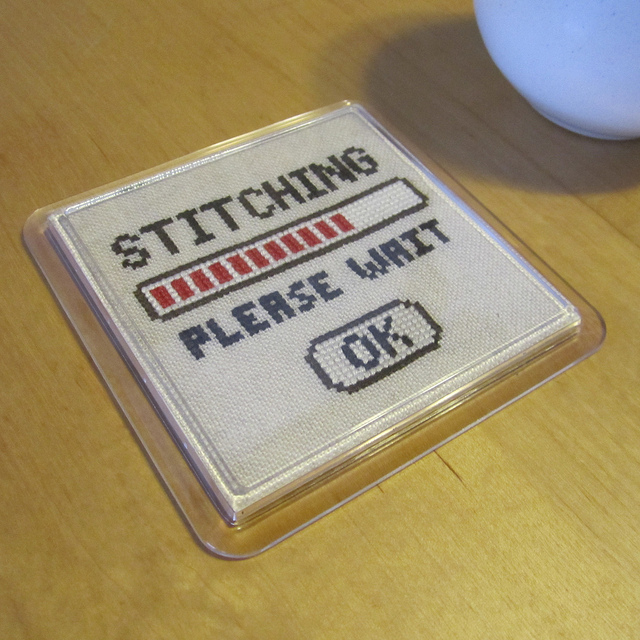 I designed this piece originally as a gift for a good friend of mine, also a fellow stitcher. Fabric: suitable for aida, linen or even weave. Model Details: Stitched on Raw 36 count Zweigart Edinburgh linen, using 2 strands of floss for all stitching. Using red/browns floss colour scheme. Stitched model was finished as a coaster. Feel free to adapt the colours to fit your computer colour scheme! The listing is for a PDF file of the pattern, not the finished product. The file includes: both black and white and colour charts, DMC floss legend and 2 alternative colour schemes (red/browns and blue/grays). Accepted payment method is Paypal.